Your personal macrobiotic cooking class London is designed to help you begin macrobiotic with confidence, knowledge and experience. During each class we will cook a meal together and enjoy eating a colourful, delicious macrobiotic meal. Learn how to cook delicious macrobiotic meals quickly for yourself, friends and family. These classes are adapted to your needs and circumstances. To aim is to make very healthy meals using natural foods, in a way that tastes good to you and that are easy to prepare. 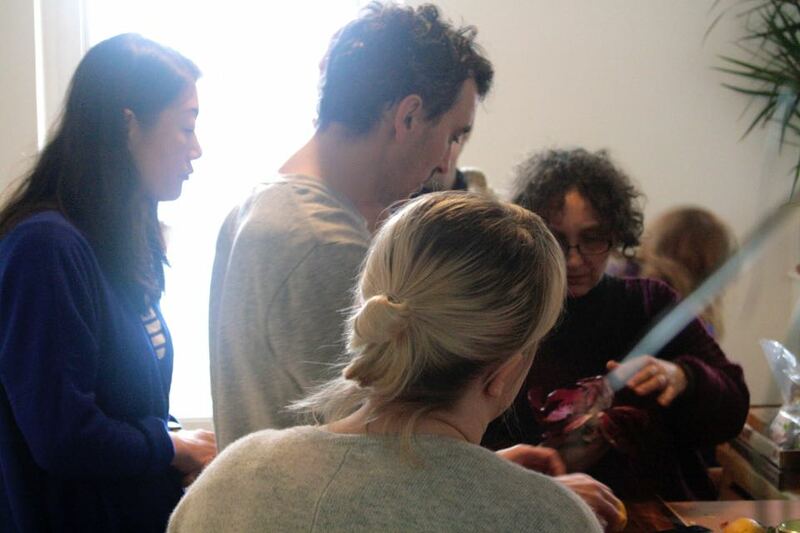 The classes include macrobiotic tuition, explanation, help, coaching, supervision, practice and support. Each class is fun, relaxing, creative, informative, experiential and educational. The style of teaching means you learn macrobiotic cooking quickly and soon get to the able to create your own recipes. The classes can be arranged to include any of the following. Vegetables – salads, steamed, blanched, stir fried, pressed, stewed and baked. Seasonings, herbs, condiments and sauces. A typical day starts at 11:30am and finishes around 2:30pm depending on how many questions you have. These times can be adjusted to suit your day. You can arrange to have your macrobiotic cooking class with friends and family. Cooking classes are held at 3 Marlow House, Calvert Avenue, Shoreditch, London, E2 7JL or can be arranged to be held at your home. There will be an additional charge to visit your home and you will need to have the ingredients we will use. The macrobiotic cooking class London fee is £95 for one person and £45 for each additional person. These prices include on-going support by phone or email.